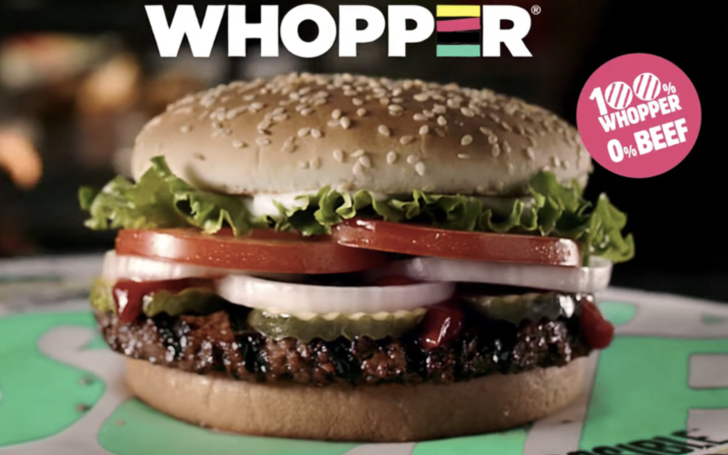 Burger King embraced many of its vegan customers with a brand new revolutionary Vegan Whooper-a plant-meat burger. No, it isn't an April fool joke like Mc Donald's fake pickle burger called "McPickle" in fact the 66-years-old hamburger fast food surely marked itself deserving for 'Crown' with first-ever meat taste Veg-burger. Prat Brown impossible founder, CEO is the one who brought up with the Vegan Whooper shared their concept of a healthy society where killing animals for meat is not required. For anyone doesn’t know what a 'Burger King' is, it’s the brainchild of 'Impossible Foods'. "You could sort of think it like a meta April fool's joke in the sense people will get a burger that they would think it is made up from an animal and be told it is made from plants." Check out a short factory review of the Burger King 'new menu' with a brief recipe explanation and taste comparison with normal meat hoopers. So, in the evolving market where innovations are made day to day, the Burger King surprised many with a revolutionary idea among the competing food market products like McDonald's vegan nuggets. The whopper will cost $1 more than the beef version.